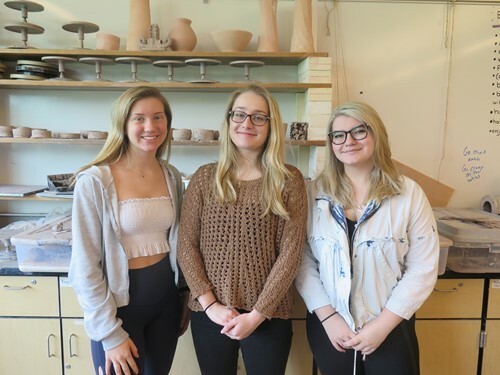 Three Bethel Park High School students--senior Morgan Saunders, junior Paige Bostedo and sophomore Alena Kauric--had one of their ceramic artwork pieces selected for inclusion in the Standard Ceramics High School Student Exhibition, which will run from Thursday, April 11 through 25 at Standard Ceramics (One Walnut Street, Carnegie, PA). The students will be part of an Opening Reception that will be held on Thursday, April 11 from 5 to 7 PM at Standard Ceramics. The students are taught by Bethel Park High School Art Teacher Rob Hooton.